Make the home made sweet & sour mix (never buy store bought!) Shake simple syrup, fresh lemon juice & fresh lime juice together. Set aside. Make fresh watermelon juice. Puree 1 cup (150g) diced seedless watermelon in a blender. Strain it in a fine mesh sieve over a bowl. You should have about 2/3 juice. The watermelon juice can be refrigerated in a covered container for up to a day. Fill a cocktail shaker and highball glass with ice. 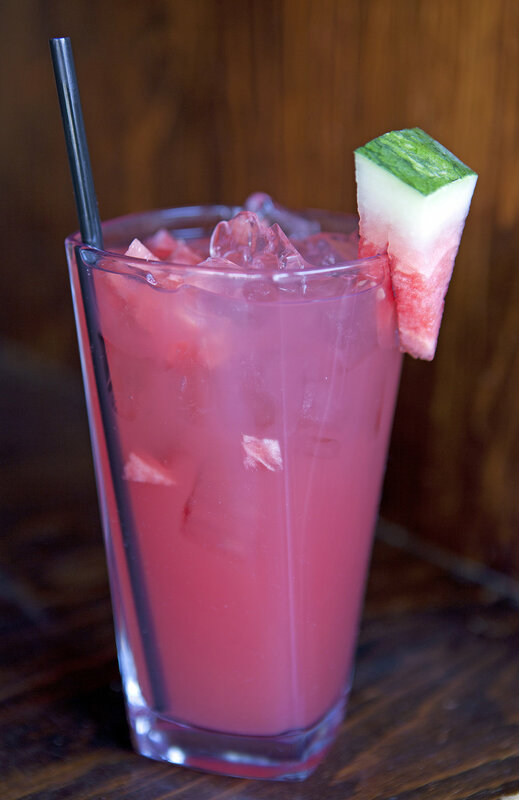 Add the watermelon juice, sweet and sour mix, tequila & triple sec. Cover the shaker and shake it well. Strain the agua fresca into the highball glass over ice. Garnish with lime wedge or watermelon wedge. Salud!